RICHARD Russell enjoyed the many upsides to his job at Horizon Air. He worked as a ground service agent, which afforded him visits to picturesque places such as France, Ireland, and Mexico, while also being able to check in on family living in far flung locations. He was also aware of the downsides. "I lift a lot of bags", he explained in a video uploaded to YouTube last December. "Like, a lot of bags. So many bags. I usually have to work outside in this," he griped, as the video cut to a rainy, miserable-looking evening. "It evens out in the end," he concluded. Clearly, though, the downsides were insurmountable, as last month 29-year-old Russell hijacked a Horizon Air Q400 plane from a tarmac at Seattle International Airport, and crashed it into an island 40 kilometres away. He died instantly. According to his shocked family, Richard Russell was a "faithful husband, loving son, and good friend". He lived in Summer, Washington, trained as a baker and married his high school sweetheart, Hannah. His social media posts spoke of plans to join the military, and his worship of Jesus Christ. He ran a family bakery with his wife until it was shut down in 2015 and was studying social sciences at Washington State University while working for the airline. He may have also secretly been studying to be a pilot. Throughout his one and only flight, Russell piloted the plane through several loop de loops and other complicated maneuvers as several F-15 fighter jets chased him. Russell was in constant communication with air traffic controllers, his demeanour shifting from confessional - he bemoaned being on minimum wage and that his actions will disappoint "a lot of people that care about me" -- to jovial, telling controllers: "This is probably jail time for life, huh? I'm sorry about this. I hope it doesn't ruin your day." There was also a touch of the philosophical, as Russell realised he wouldn't make it to his destination, a mountain range 120km from where he eventually crash-landed. "Man, the sights went by so fast", he mused. "I was thinking, like, 'I'm going to have this moment of serenity, take in all the sights.' There's a lot of pretty stuff, but they're pretty in a different context." HOW EASY IS IT TO FLY A PLANE? While Russell didn't have a pilot's license, it appeared from both his complicated aerial stunts and his brief correspondence with air traffic control, that he had done some rudimental training with flight simulators. "I don't need that much help; I've played some video games before," he explained, after asking for help adjusting the cabin pressure. He also told them he had put fuel in the plane, suggesting he had an understanding of how to do so. He did, however, misjudge the quantity; his plan was to "check out the Olympics", a mountain range 160km from the takeoff site. He admitted the fuel had burned "quite a bit faster than I expected", and that his new plan was to attempt "a barrel roll, and if that goes good, nose down and call it a night". It remains unclear whether or not Russell possessed the ability to land the craft. At one point he claimed "I wouldn't know how to land, I wasn't really planning on landing it", yet he seemed determined to crash the plane. "I don't want to [land]. I was kind of hoping that was going to be it, you know." 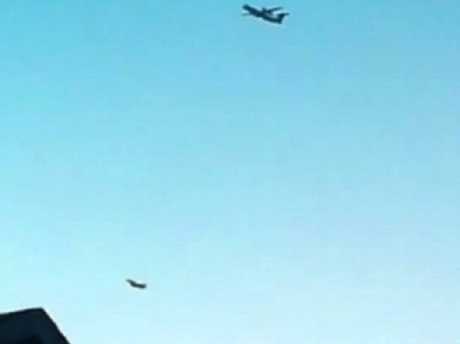 After being instructed to land at a nearby military base, he replied, "I wouldn't want to do that. They probably have anti-aircraft." At one point he asked jokingly, "Hey, do you think if I land this successfully, Alaska will give me a job as a pilot?" Experts remain at odds regarding the skill level needed to pilot a commercial plane. Horizon Air CEO Gary Beck was baffled, saying in a statement shortly after the incident: "We don't know how he learned to do that. Commercial aircraft are complex machines. No idea how he achieved that experience." Despite this, Debra Eckrot from Seattle's branch of the National Transportation Safety Board said basic aviation knowledge is all it would take. "[The planes] don't necessarily use a key, so there's switches that they use to start the aircraft. "So if the person has basic understanding - from what I understand he was support personnel, ground personnel - they probably do have at least a basic understanding on how to start the aircraft." 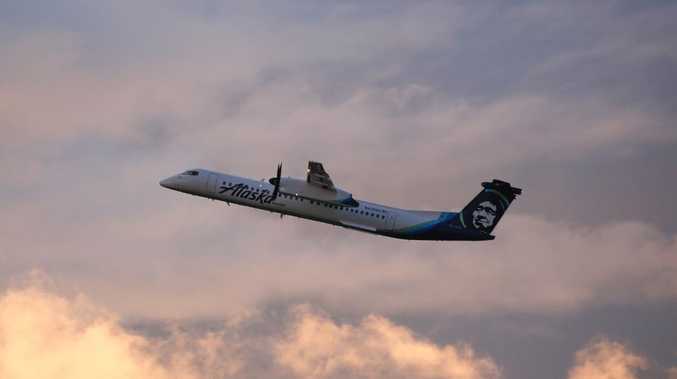 A 29-year-old man stole a Horizon Air Q400 plane from Seattle’s international airport for a short, dramatic flight before crashing on a nearby island. Russell's job afforded him access to the tarmac, and also meant he could move freely without suspicion. Uniformed personnel refuelling a plane would not have appeared out of place, nor would his entry to the craft. Russell would have also had access to the flight schedule (as does any layman in an airport) as well as knowledge of the pilot and other on-air personnel's loose movements prior to boarding a commercial aircraft. More tellingly, Russell was also part of the 'tow team' which moved the aircrafts around on the tarmac. Officials have stated that Russell used one of the 'pushback tractors' -- a device which pulls the airplanes into position -- to relocate the plane to a more favourable position for takeoff. It would have been fairly easy for Russell to do this, and then to access the aircraft without attracting notice. Employment security checks wouldn't have flagged Russell either: he undertook various background checks in order to be allowed access to the area, and authorities are firm that this wasn't an act of terrorism. When an isolated incident is this meticulously carried out, without earlier signs or troubling behaviour, there really is no way to prevent such a tragedy. This won't stop people from pointing blame, or attempting to rectify such a scenario. "Yesterday's events will push us to learn what we can from this tragedy so that we can help prevent it from ever happening again, at our airline or any other," said Brad Tilden, CEO of Alaska Air Group, who operate Horizon Air. 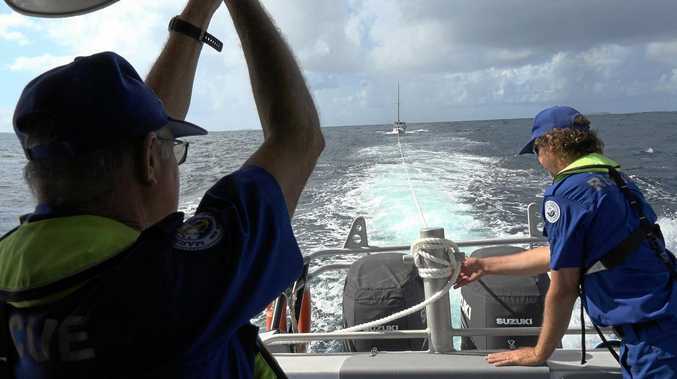 As with a lot of tragedies, the mechanics of how Russell managed to board and steal a commercial craft can be explained, with safeguards put in place to ensure such a thing never happens again - but the motives behind his actions may be harder to explain. At the end of the day, we are just going to have to take his account at face value. "Just a broken guy," he told air traffic. "Got a few screws loose, I guess. Never really knew it until now." - If you or someone you know needs help, please contact Lifeline on 13 11 14 or Beyond Blue 1300 224 636.